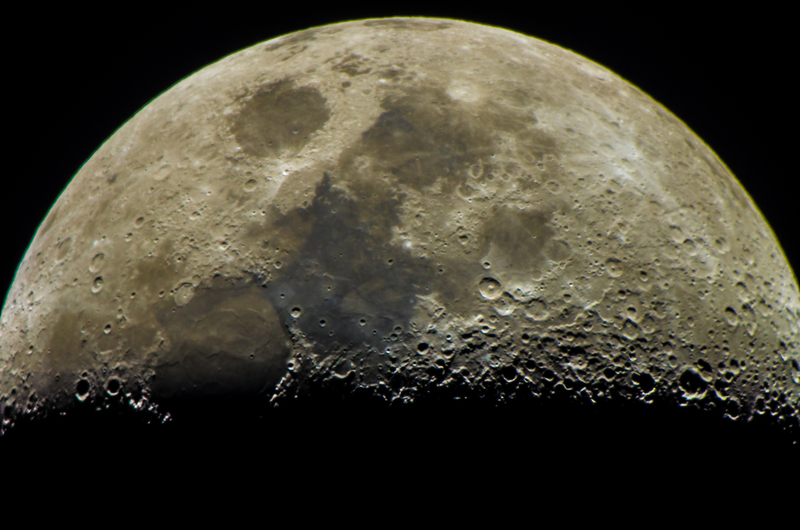 Moon at 45% illumination and 70x magnification. With aperture of 200mm,14,1 stops dynamic range, color depth of 23.7 bits at this image there are slight color variation on the moon surface that reveals it’s structure. The dark flat area had been formed due to volcanic activity at later stage. You can see how the lava formed waves on the surface at the lower left. The rest is full of craters that indicates that the most impacts have taken place at the early ages of our Moon.